WU-TANG Clan, the legendary rap group that launched several solo rap careers, has a secret album called The Wu: Once Upon a Time in Shaolin, but it could be a long, long time before fans can get a hold of the album. According to a report from Forbes, the rap group will sell just one copy of the album, but the person who buys the lone copy will bound by copyright law and forbidden from reproducing copies for 88 years, if at all. After 88 years the copyright transfers to the owner, who would be free to decide to release the album commercially. The owner, of course, could decide to keep the album secret. 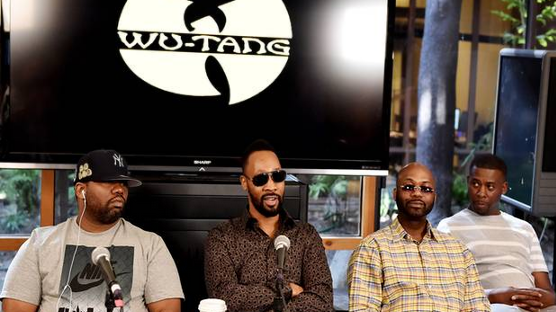 Once Upon a Time in Shaolin will be auctioned off by online auction house Paddle8, which will help the Wu-Tang Clan vet bidders before the group will eventually settle on the offer that is the best fit for the album. Forbes reported that the auction and eight-decade copyright restriction are part of an effort by the Wu-Tang Clan to restore music to the high-art standard it held during the Renaissance.